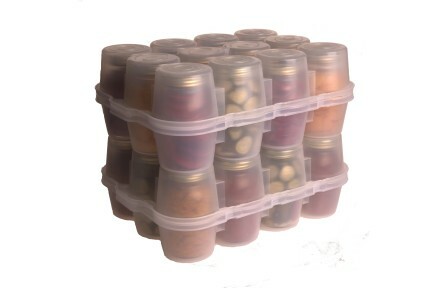 Since winter is upon us, we often have food storage issues due to canning so much during the fall. Not sure why, but I often go overboard as well with stocking up as if the winter would never end! It totally drives my wife NUTS! We literally run out of space for all the food we have. So I thought I would start looking around at different ideas I find and post them up here. Each picture below was chosen for specific reason and idea. 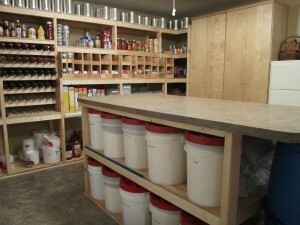 Above: I really like the idea of having this work space in the food storage room. You can grind wheat, Repackage, label, etc. Nice idea having a work station. 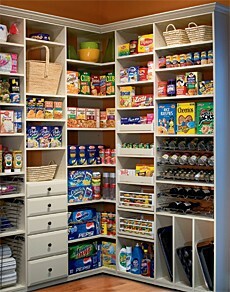 I wish I could organize our food storage this well. I have way too much food to keep it looking this pretty, but I do admire the organizational skills! I really like the water tank storage setup. 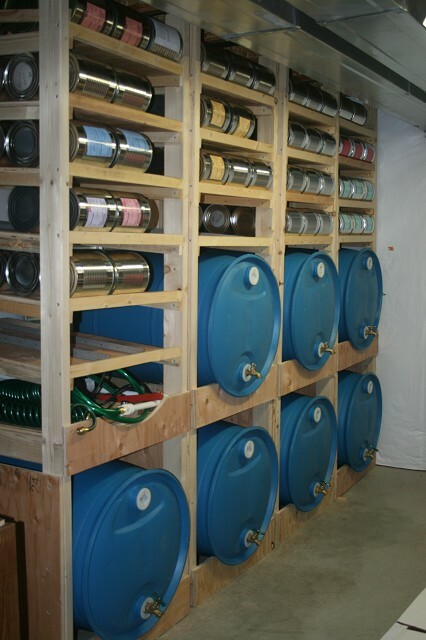 These appear to be 50 gallon drums for a total of 350 gallons. These are simple to build shelving units. I also like how the #10 can slanted shelf system is setup as a first in, first out unit. Note that the water tanks have water spouts, hoses at the ready. Love it! I really enjoyed this setup. Not sure why its in an area with so much sunlight, should be in a root cellar or cool basement. 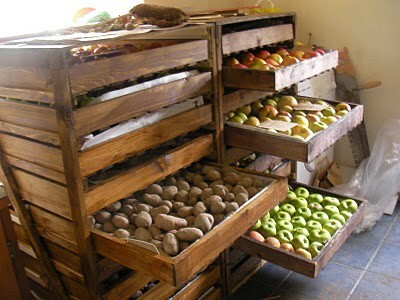 Great way to preserve your fruits and vegetables for the long winter. Preserving ours like this, we have had the opportunity to still be eating apples in January. Enjoy searching for more ideas! I hope these got you thinking!